Ransomware programs are extremely prevalent nowadays, and nearly every user is at risk of being affected by them. Our researchers have detected yet another one entitled Eylamo Ransomware. It is one more program of this classification that is built using a Hidden-Tear project, which can quickly and without any warning encrypt vast amounts of data on the infected operating system. Although at the moment this malware seems to be in its testing phase it remains a major virtual threat and having it active on your PC even for a short time could have devastating outcomes. Learn how it functions and how you can safeguard your operating system from it by reading the rest of this article. Alongside such valuable information, we provide a detailed and easy-to-follow removal guide for Eylamo Ransomware. As mentioned, Eylamo Ransomware is yet another malicious program that uses Hidden-tear project as its basis. This project is exploited again and again by cyber criminals. A large part of the blame for an outburst of ransomware programs can be placed on the developers of this Hidden-Tear. That is so because it provides cyber crooks with an easy way to craft and customize file-encrypting applications. Other malicious programs that use Hidden-Tear as their base are Executioner Ransomware, Crying Ransomware, Kee Ransomware. Thus, it is not surprising that the malware in question operates in virtually the same manner as its counterparts. The encryption starts as soon as its executable file is launched. With the help of a powerful algorithm, this malware locks large amounts of data located on your Desktop and Pictures library; each affected file is tagged with a .lamo extension. The fact that it locks files in only two specific directories makes our research team think that the ransomware is still under development. Nonetheless, the affected files in the mentioned folders cannot be decrypted manually due to the strength of the cipher. 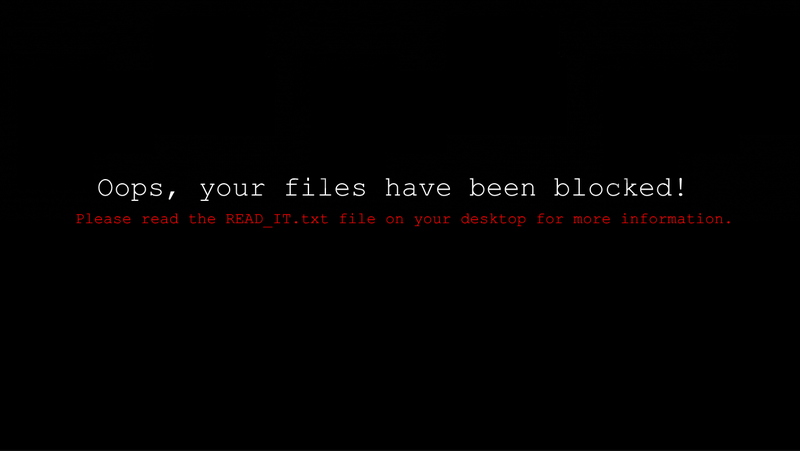 Once your data is locked, you will notice a ransom note on your Desktop. It informs that you no longer have access to your files and also demands a ransom in Bitcoins for decryption services. We firmly advise you to refrain from making any payments to cyber crooks as there is no guarantee that your data will be unlocked even if you do so. Your best bet to restore the affected data is by using shadow copies or from a backup if you have made one. There should not be any questions why the removal of Eylamo Ransomware is crucial. Make sure to delete it as soon as possible by using the instructions that we provide below. It goes without saying that keeping your computer safe from programs such as Eylamo Ransomware is crucial. During the initial analysis, our malware experts have discovered that this malicious program is often spread via spam e-mail campaigns. To reduce the chance of infecting your PC with this or any other malicious program in such a manner, make sure to stay away from all e-mail attachments that come your way from unknown and otherwise suspicious sources. Furthermore, we urge you to bypass all dubious download websites because they are notorious for being the primary source of bundled installers. Malware developers often use such intrusive setup files to distribute their questionable programs. You can lower the risk of coming across devious installers by downloading all of your programs from their official developers' websites because such web pages can be trusted to provide you clean setup files. While doing all of this will improve your virtual security, you must know that your best bet to keep your operating system secure at all times is by running a professional antimalware tool on your PC. Such a tool is the most important part of your overall virtual security because it can detect and delete any dubious or malicious program automatically. It should be more than obvious that a complete removal of Eylamo Ransomware is crucial. Under no circumstances delay the procedure as that could lead to devastating outcomes. Make sure to follow the instructions with care. Only by executing each step will you be able to get rid of every single bit linked to Eylamo Ransomware. To be on the safe side, we highly advise you to double-check your operating system for anything associated with the malware in question once you are done with the instructions below. This is important because in some cases traces of this ransomware might be able to trigger its silent restoration. If you wish to delete Eylamo Ransomware automatically, make sure to use a professional antimalware for that task. Right-click a malicious .exe file and select Delete. Right-click a file called READ_IT.txt and select Delete. Quick & tested solution for Eylamo Ransomware removal.